Sarah and her husband move back to her hometown where she was born and into her parents' previous home where they were brutally murdered. Her mother was pregnant with her at the time she was killed. The police arrived at the crime scene only to find the murderer holding her after he cut her out of her mom's womb. Sarah finds herself now faced with the beginning of a sequence of copycat murders by a killer dressed in identical clothing worn by her parents' killer. 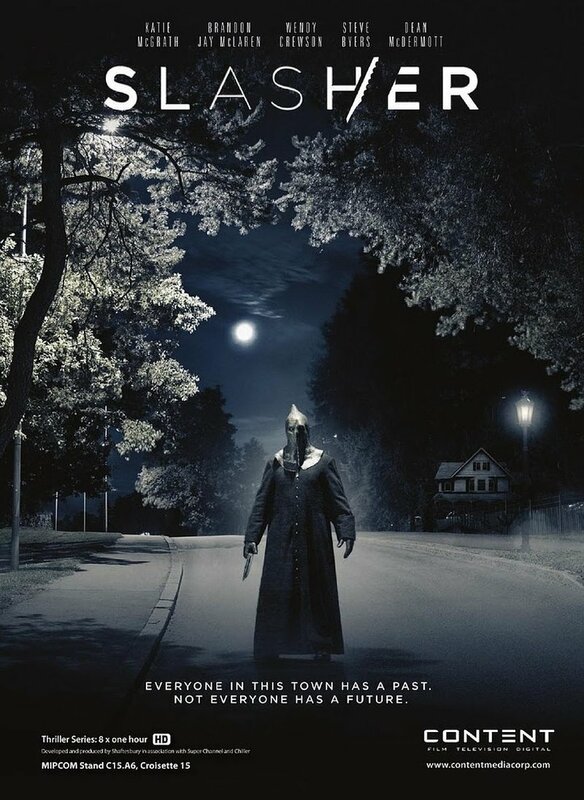 DVDs Release Dates is the best source to find out when does Slasher come out on DVD and Blu-ray. Dates do change so check back often as the release approaches.